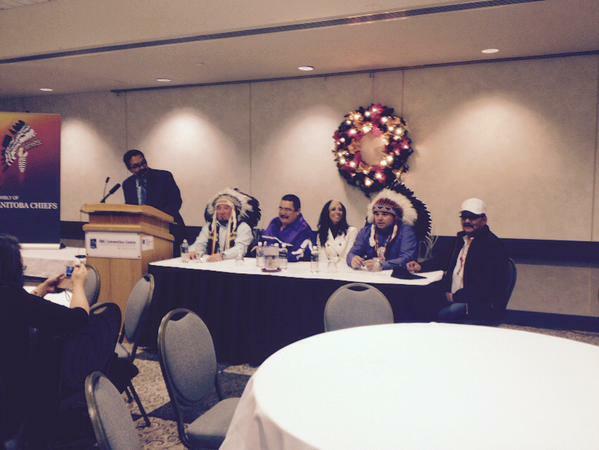 First Nations chiefs meet in Winnipeg to elect a new national chief and discuss policy priorities. Watch and follow our real-time online coverage, and join the conversation! *** Les chefs des Premières nations se réunissent à Winnipeg pour élire un nouveau chef national et pour discuter de priorités en matière de politiques. Suivez la discussion ici et participez-y! 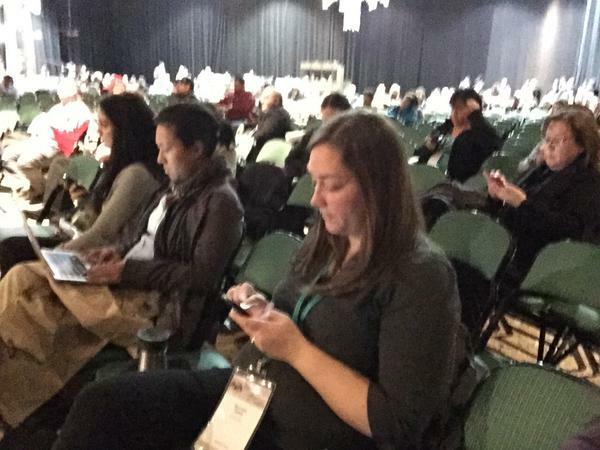 With the large number of people here at the #AFN2014, this clearly indicates an interest in AFN. The Idle No More movement has released a statement calling on the AFN to focus on aboriginal title and land rights in the wake of the Supreme Court's Tsilqhot'in decision on unceded territories. Next is a report from the National Women's Council and chair Therese Villeneuve. #AFN2014 - Honouring of Rinelle Harper this morning. Looking forward to this ceremony. Villeneuve: time for women to reclaim traditional leadership roles and status in FN communities. Next is the National Elders Council, with a speech by Elder Phyllis Googoo. 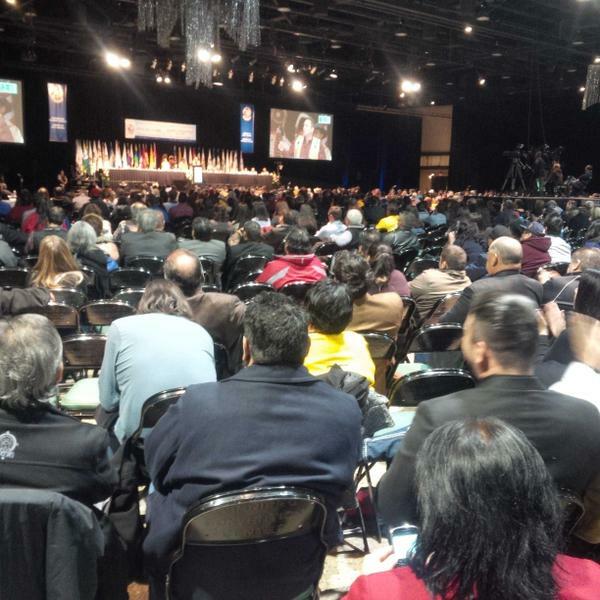 If the only reason you're paying attn to the AFN mtg is for the election, you're missing 90% of the work they do. #AFN2014 - AFN Womens Council challenges everyone ask yourself "What am I doing to end violence against Aboriginal women? " Peter Dinsdale, the AFN's CEO, presents the Heroes of Our Time RBC Scholarship - Elijah Harper Award. 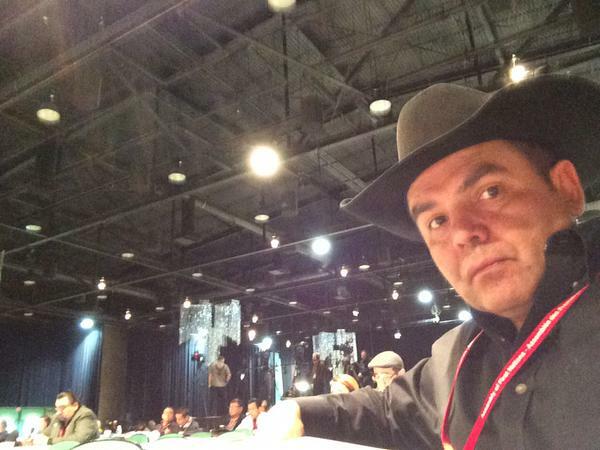 @metisfederation regardless #afn only forum tht gives FNs national platform + impact. FN must continue efforts at home to enhance rights. I haven't heard anything positive about AFN since idle no more. Nine thousand survivors registered to attend national and regional events, according to Sinclair. Next to speak is Cindy Blackstock (First Nations Child and Family Caring Society of Canada). Bellegarde: On Tsilqhot'in decision, "we have a big arrow in our quiver -- and we're going to use it." Bellegarde: create a national strategy, but FN people need to be at the table with Ottawa and the provinces. Bellegarde: going to keep fighting for MMIW inquiry. Understanding and awareness leads to action. Bellegarde pays tribute to Cindy Blackstock and the fight against "inequitable funding for children." Perry Bellegarde supports FN's being at a national energy table must be what AFN-AANDC Natural Resources Working-Group is about? Canada has never embraced enforcement of aboriginal rights and title, according to Bellegarde. Bellegarde pledges to support AFN renewal efforts. The floor is now open for questions to the three candidates.